We need to spend more time thinking from this side of the jury box. . .
Richard discusses six cases he worked on that all took place in the glare of the media spotlight: OJ Simpson’s murder trial; Heidi Fleiss’s pandering trial; a Whitewater trial; an Enron trial; Phil Spector’s murder trial; and Casey Anthony’s murder trial. I recommend it even if your cases never even make your building’s newsletter. If it ever crossed your mind that OJ Simpson was acquitted of murder because he is black and most of his jurors were black, too, then you have to read this book. If you ever thought that Casey Anthony’s jury was either “completely stupid” or merely “mostly stupid,” then you should read this book. Or if a jury verdict just plain ever puzzled you, then you should read this book.
. . . than from this side. The treacherous Confirmation Bias. We see what we want to see. New information (factual or fallacious, by the way) is interpreted so as to support our pre-existing beliefs; ambiguous information is construed so as to confirm our pre-existing beliefs; and contrary information is disregarded outright. Norms, the rules and standards through which we see the world. It’s what I call the “shoulds” during jury selection. Moms/husbands should freak out immensely when their child/wife is reported missing. Corporate officers should know every detail of what happens in their businesses. Witnesses should have prepared for their trial testimony, so if they are confused or don’t remember something, they are probably lying. The slippery Availability Bias. Whatever we spend the most time on will be (mis)interpreted as The Most Important Thing in the Case, thus drawing the degree of scrutiny and skepticism that the Most Important Thing should draw. What’s wrong with that? When the Los Angeles District Attorney turned an eminently winnable double-murder prosecution into a multi-month seminar on cell molecular biology, they accidentally told the jurors that the science of the blood evidence is Really Important. That had the unintended consequence of inviting all the close inspection of jurors, which isn’t good when the procurers and sponsors of that evidence also brought their own personal baggage along with their investigative work. I firmly believe that most of the time that lawyers fall prey to spending too much time on something to the detriment of their case, it is nearly totally unintentional and just sort of . . . happens. Understandable. And fixable. The inevitable Hindsight Bias. The “If onlys.” If only George Zimmerman had waited in his car as the 911 operator told him. If only the insurer had made one phone call to this one doctor before denying the claim. This retrospection is irresistibly easy. It also plays heavily into the meta-question that jurors are really trying to answer, regardless of the verdict forms that the law gives them: What really happened? That question never appears on a verdict form, either civil or criminal, but damn: it sure drives the answers to whatever is on those forms. Richard then takes the reader through the six cases and shows how these various sets of filters play out in the courts, in the minds of the jurors who are by definition not subject matter experts in the issues of the case. I am not surprised when laypeople talk with me about their surprise at various verdicts. I am a little more surprised when litigators do, though. It’s like just how little Major League Baseball players understand about the game beyond their own role (as when power hitters complain that the fences on their home ballparks are too far from home plate . . . apparently utterly without the knowledge that championship teams tend to have ballparks that favor their pitchers, not their power hitters). I know that law school teaches very little that is actually useful – I did great in trial practice classes, and never once learned about these psychological drivers, the prime building blocks of human decisionmaking. Alas, that is the very stuff of persuasion in court or mediation. Hell, understanding the above biases and processes is the very stuff of understanding oneself and trying to lead an integrated, slightly enlightened life. Would have been nice to know from the beginning of my litigation career. They didn’t teach us this in law school. Instead, they mistaught us that mastering the rules of procedure and evidence, honing our recall and application of them to lightning-fast twitch impulses, would yield victory. Well, that and tripping up opposing witnesses with even the most trivial slip-ups in cross-examination. If you are an attorney reading this article, you likely have heard of these psychological phenomena in CLEs and workshops. That puts you ahead of the game. ‘Acquittal’ will help connect these abstract ideas to the nitty gritty details of real cases. This entry was posted in Jury Persuasion, Jury Psychology & Dynamics, Jury Selection, Trial, Writings and tagged communication, jury, jury selection, language, Lawyer, trial consultant, trial consulting. Bookmark the permalink. The comments on Amazon are especially interesting. The reviews are either 5 stars or 1 star – nothing moderate. Thanks for the recommendation – I’m always grateful for books that teach how to be a better litigator, civil or criminal case. Thanks, Susan. Yes, the comments on Amazon are unfortunate– every single one of the poor “reviews” are from people who clearly have not read the book (in some cases, they outright admit that), but instead object to the Casey Anthony acquittal in particular. Trust those who have actually read it! Thanks so much for your comment. Please comment on anything else I write, too! I hope you’re finding Juryology helpful and thought-provoking. Yes, I’m finding it helpful and very question-provoking. Otherwise I wouldn’t be reading it faithfully! Thanks! Great to hear! Keep in touch. 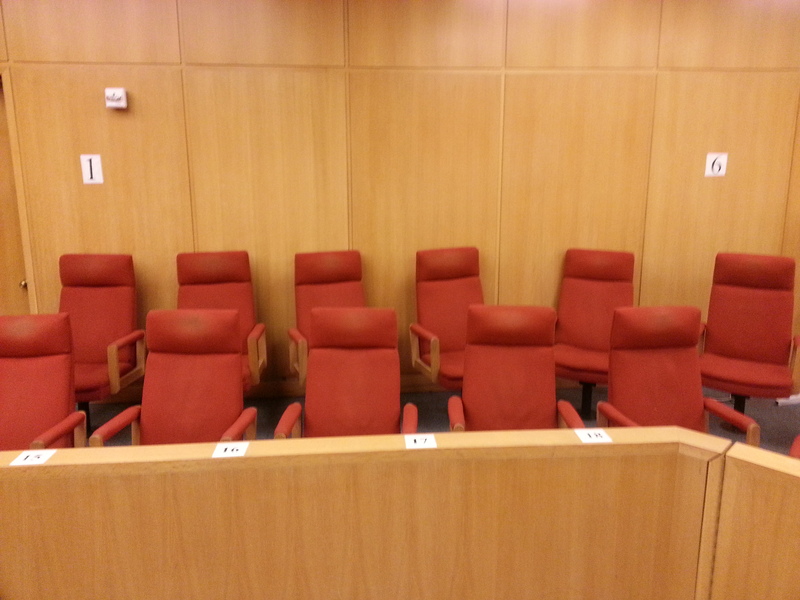 I practice in Israel where trials are held before one or three judges. There is no jury. Any comments on how adapt the information and suggestions of the book? A great many of US trials are tried only to a judge, also; and a huge number are assisted to settlement with a mediator or an arbitrator– again, a panel of one. So we are definitely VERY familiar with the phenomenon you describe. It turns out that judges are humans, too. Well, most of them are, anyway. And they are therefore susceptible to all the same mental traps we all are, and need the same guidance that everyone else does: The right story (in any fact pattern, there are 50 ways to tell the story, of which 48 are probably not very good, one that is OK, and one that is good); good themes, good metaphors, helpful and clear visuals, and the right way of framing the question they have to answer. An example of the latter framing would be in a criminal trial, does the defense attorney want the judge/jurors to mentally frame the question, “Do I think he probably did the crime” or instead “Do I think the police and prosecution have followed all the rules and safeguards in putting the case together”? If the judge/jurors think of it one way versus the other way, he/she/they will reach different verdicts. 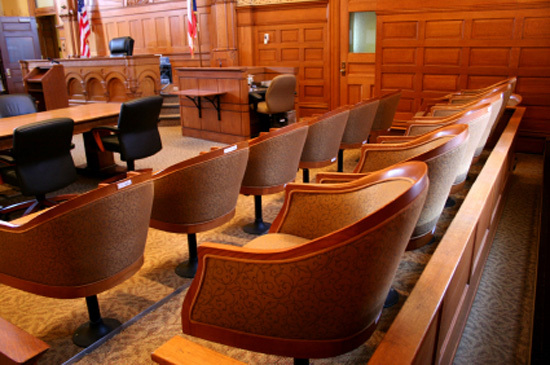 Everything you read or hear that applies to persuading juries also applies to judges. I invite you to write me to discuss your specific situations further. Just click on the “Contact” under my picture above, and email me. Thanks so much for your comment.